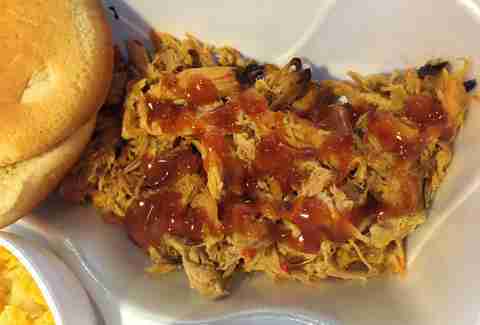 BBQ in America has come to mean a lot of different things: in Texas they have beef brisket, in Missouri and Kansas it’s ribs, and here in the Carolinas it’s all about pulled pork. 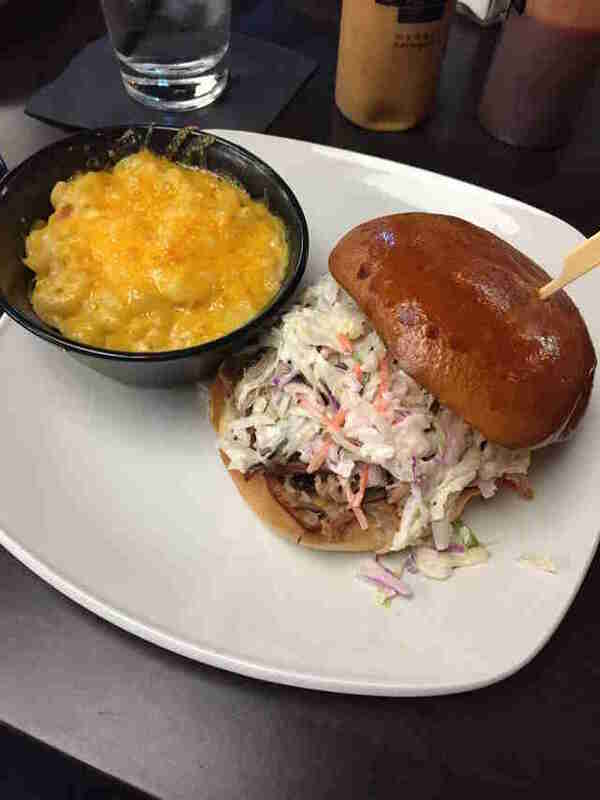 Whether it's chopped fine with a vinegar sauce on the side, pulled in large chunks and coated in SC mustard sauce, or piled high on white bread with slaw, we have it all. No matter what changes, the food scene in Charlotte endures, pulled pork is always the constant, and these seven restaurants do it best. For Charlotte natives, this is the BBQ you grew up with and love. Family-run Bobbee O’s keeps it traditional: slow cooked pork shoulder with plenty of red pepper flakes and a Eastern Carolina vinegar sauce on the side. 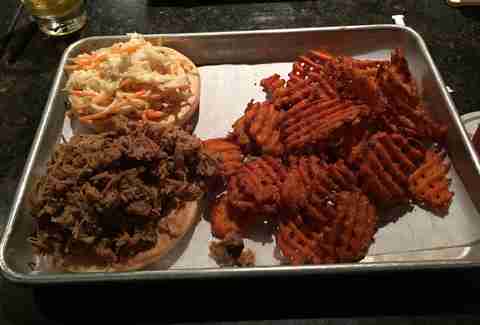 Take all of that and pile it on white bread and you have the quintessential North Carolina pulled pork sandwich. Plaza/Midwood was a neighborhood in search of a great BBQ restaurant, and Midwood Smokehouse has filled that void spectacularly. 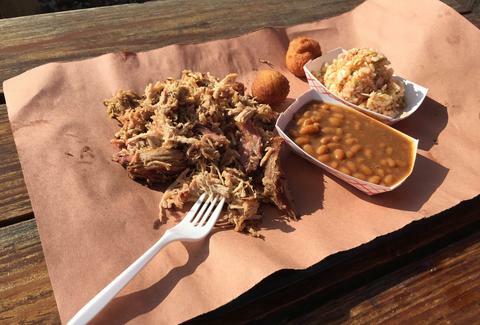 They offer it all: ribs, sausage, brisket, but their pulled pork is something special, giving you that excellent smoked flavor without drying out the meat. 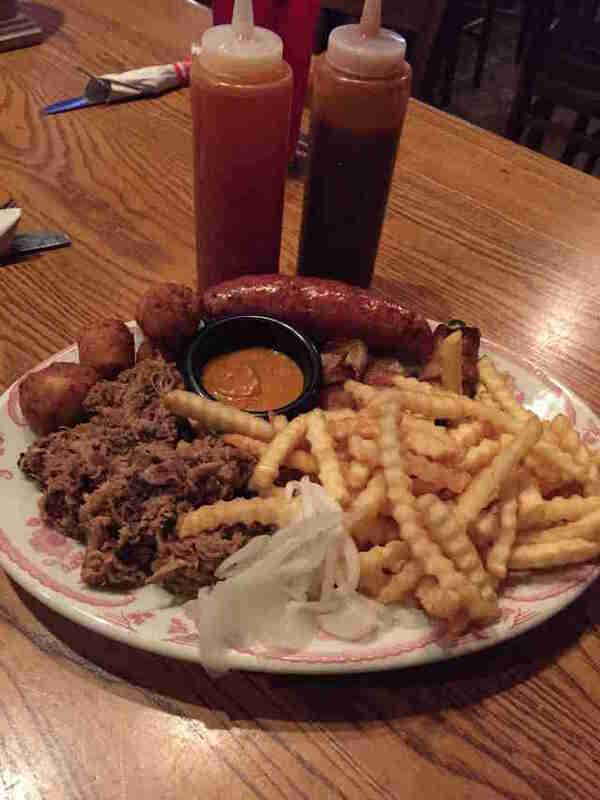 This smokehouse has a neighborhood bar feel that leaves you feeling at home and well fed. Go straight for the South Carolina sauce with just the right balance of sweet and spicy. The BBQ is well-prepared with an eye for every gourmand-centric detail in this sleek spaceship of a restaurant. The attentive staff will help tailor every dish on the upscale menu to fit your unique tastes. The sauces on the table range from Texas to Eastern North Carolina, serving as the finishing touch for your pulled pork platter or sandwich. "Bikers, beer, bourbon, and BBQ" pretty much sums up Mac’s. 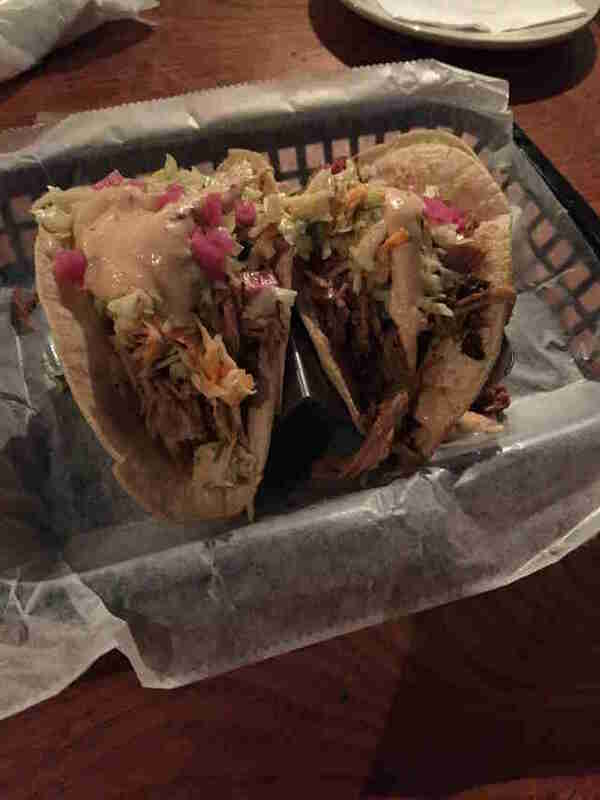 One of their unique takes on the classic pulled pork is to turn it into one of the best tacos in the city. Topped with a creamy mayo/mustard hybrid sauce and slaw, abundant smoke flavors come forward from the first bite to the finish. It’s a lot of taco to handle, most people should be satisfied with two or three. 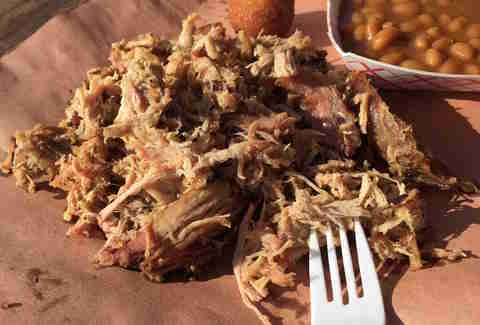 The Improper Pig is turning traditional BBQ thinking on it’s head using pulled pork as a canvas and sauces as the paint. This place brings in Latin and Asian influences to their sauces and presentation like the spicy Hoisin sauce that kicks in quick and keeps going. For something less intense, try the Thai vinegar sauce or the Kansas City sweet rib sauce. Don’t let the name fool you, at Sauceman’s the pork has the leading role, and it doesn’t need a supporting actor. The folks behind this restaurant travel the country for BBQ competitions and that experience shows with their pork. The texture is exactly what pulled pork should be with the caramelized bits and cooked down fat left in, leaving you with a nice mix of greasy fat and lean meat. This pork doesn’t need sauce, and it knows it. 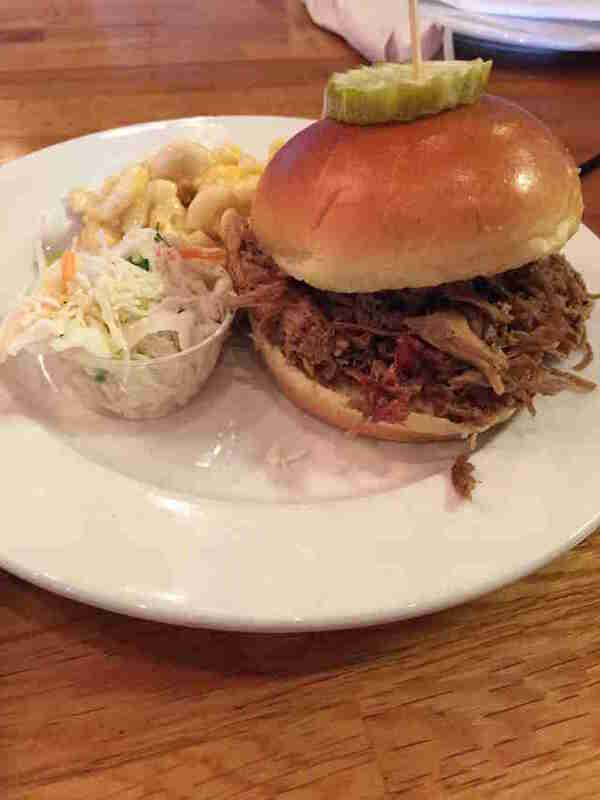 The puff of porky perfume you get upon entering Queen City Q is just one sign that the minds behind this restaurant know what they’re recreating in downtown Charlotte: Lexington-style BBQ, the king of North Carolina pulled pork. They proudly show off their homemade Lexington-style sauce, a blend of ketchup, vinegar, hickory smoke, and red pepper with a touch of a special blend of spices. You may be tempted to drink the sauce from the bottle, but settle for dousing your sandwich in it. The signature sauce is also a stand out, a blend of Texas-, KC, SC, and NC style sauces. Travis Mullis is a Charlotte native and BBQ enthusiast. He has a major in Creative Writing and Philosophy, so he naturally went into the Analytical Chemistry field. He lives near downtown Charlotte with his lovely fiancee and tyrannical cat. Follow him on Twitter @trex_mullis.